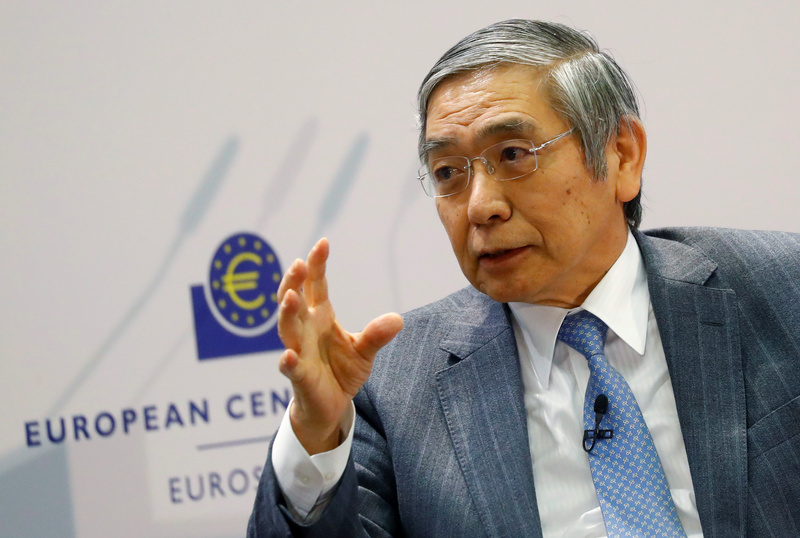 Central Bank Governor Haruhiko Kuroda of the Bank of Japan attends ECB's Central Bank Communications Conference in Frankfurt, Germany, November 14, 2017. Euro zone businesses performed much worse than expected in March as factory activity contracted at the fastest pace in nearly six years, hurt by a big drop in demand, a survey of purchasing managers showed on March 22. IHS Markit’s Eurozone Composite Purchasing Managers' Index, which is considered a good guide to economic health, dropped to 51.3 this month from a final February reading of 51.9, missing the median expectation of economists polled by Reuters for 52.0.